Curious about your four-legged family member? 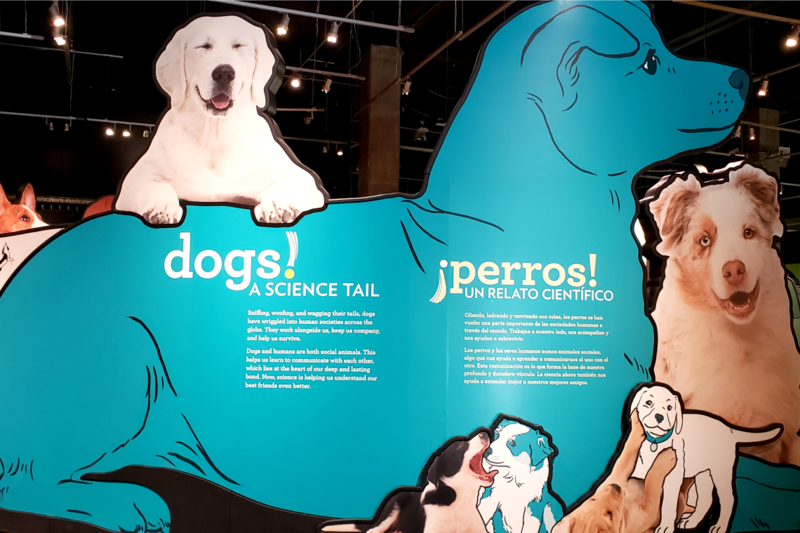 The California Science Center’s new exhibit provides guests with a hands-on experience that highlights the incredible bond between humans and dogs. Step into the paws of your favorite K-9 and discover how they see, here and smell the world. 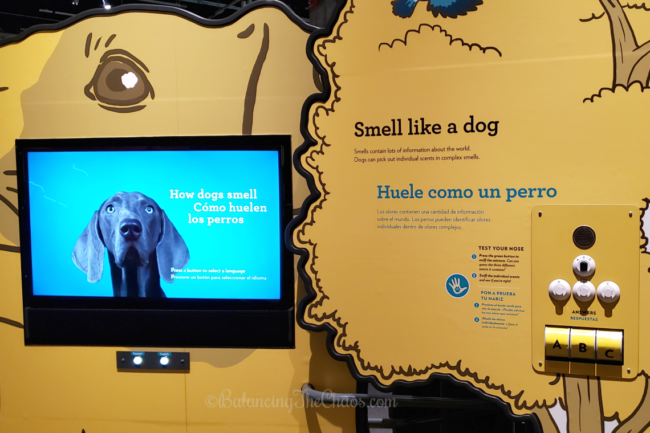 The interactive exhibit also invites guests to share personal photos and stories about their dogs while you have the opportunity to see live demonstrations of dogs in various roles showing rescue, agility, sensory and service skills. 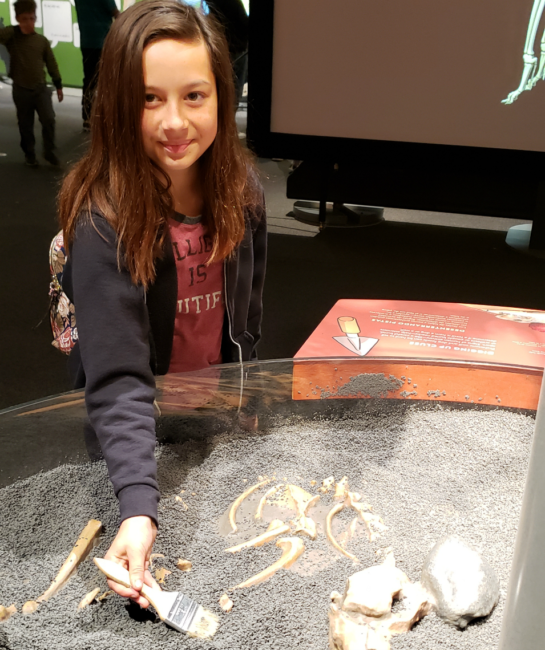 Over the weekend, we had the opportunity to visit the California Science Center and explore the new Dog! A Science Tail exhibit, created with the support from Annenberg Foundation and Wallis Annenberg PetSpace. Analyze bones and DNA patterns to see how scientists study the effects of dog domestication. Discover how dogs evolved from ancient wolves into a lovable canine companion. Explore the science behind the human/dog bond. Race against top speeds of various dog breeds. Experience the dog’s sensory world by snuffing out hidden smells. See and hear like a dog. Find out how dogs think and communication with each other and humans. Learn about the responsibilities that come with owning a dog. Find out how to care for them. See amazing abilities up close by community partners and their rescue dogs. Learn about the importance of play for both humans and dogs. In addition to the Dogs! 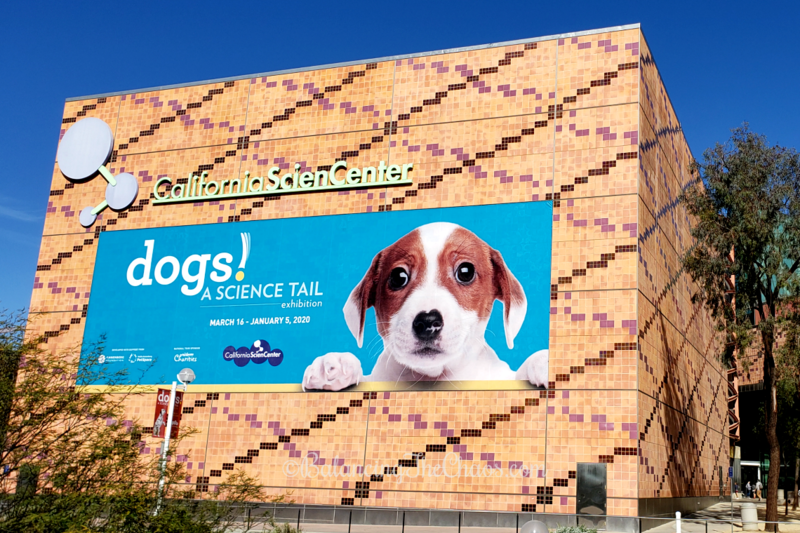 A Science Tail exhibit, guests will really enjoy the new IMAX documentary – Superpower Dogs. This movie gives you the opportunity to experience the life-saving superpowers and extraordinary bravery of some of the world’s most amazing dogs. The film is narrated by Chris Evans (Captain America: The First Avenger, Gifted). The film allows you to follow six real-life working dogs around the world. We fell in love with Hero as you meet her as a puppy and follow her training. Other incredible canines featured, brave earthquakes and avalanches, protect endangered species such as rhinos and elephants and transforms the lives of people with special needs. The film showcases original footage of the incredible abilities of the dogs and how they use their cognitive, sensory, and intuitive capabilities to save lives. While admission to the Science Center is free, there is a fee for IMAX movies. Prices range from $6.75 to $8.95. Parking is $12 per car. More information can be found at www.californiasciencecenter.org.